Mr. Frank Bibby (S. Y. Jason). Jason, S.Y. 416 tons. Mr. Frank Bibby. 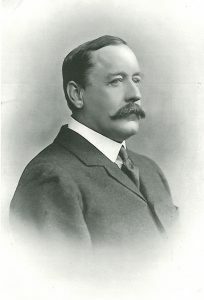 Frank Bibby was born in 1857, and educated at Eton. Being connected with the well-known shipping firm, he developed early a fondness for the sea. 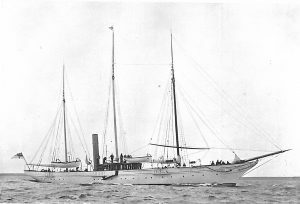 Jason, his present steam yacht, was built in 1877 from the designs of Mr. St. Clare Byrne for Mr. Stewart, from whom a year later she was purchased by Mr. James J. Bibby, father of Mr. Frank Bibby. Mr. Bibby is for the greater part of the season cruising on board the Jason. Clubs: Royal Yacht Squadron, Royal Cruising, Royal Thames, Royal Dorset, Royal Mersey, Royal Highland.